Police have announced recent successes in solving a number of crimes over the past few weeks. For the charges of robbery with violence, possession of firearm and ammunition, possession of a controlled drug and trafficking a controlled drug (cannabis) valued at approximately $7938, 32-year-old Rondell Benjamin and Kelly Hillaire both of Mt Horne St Andrew, and 25-year-old Sheldon Lewis of Grand Anse St George, were arrested and charged. As a result of this police operation, a Taurus pistol along with 5 rounds of ammunition and 1 spent shell were retrieved. The inspector stated that these crimes occurred between 25 – 31 August 2017, within 3 different jurisdictions, namely, Points Field St Patrick, Mirabeau St Andrew and Boca St George. The 3 men appeared in court on 4 September, and were remanded to Richmond Hill Prison until their next court appearance. In relation to a robbery which occurred on 31 August 2017, Vaughn Cyrus 22 years old, Akim Mc Queen 19 years old and 35-year-old Vincent Spencer, were charged. Additionally, 2 Trinidad nationals were arrested and charged ‘for an act preparatory to trafficking a controlled drug.’ They also appeared at the St George’s Magistrate’s Court on 4 September 2017. 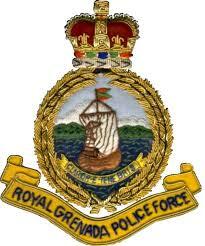 Rodney encourages persons to report unlicensed illegal firearms it to the CRD. “We crave your cooperation,” he urged, as he indicated that the matters will be dealt in confidence.